USA Wrestling, the national governing body for wrestling in the United States, has selected Spokane to host the 2018 and 2019 Cadet National Duals, a major age-group national event in the Olympic wrestling styles. This is the annual national dual meet championship in men's Freestyle and Greco-Roman at the Cadet age level (15-16 years old). The event features USA Wrestling state association teams from across the nation competing in a dual meet format. 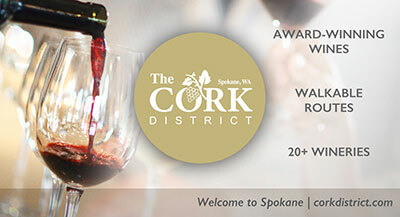 Spokane becomes only the eighth city to host the event, which was created in 2000. 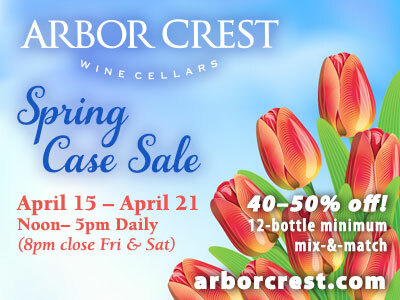 This marks the first time that the event has been held in the western time zone. Only five other states have hosted the tournament (Colorado, Missouri, Minnesota, Florida and Pennsylvania). The local organizing committee is the Washington USA Wrestling and Spokane Sports Commission. The competition will be held at the Spokane Convention Center June 12-16 in 2018 and June 11-15 in 2019, which is also the home of one of USA Wrestling's major Folkstyle Tour of America events, the Bigfoot Battle. USA Wrestling has held other major events in Spokane, including the 1996 U.S. Olympic Team Trials in freestyle wrestling, as well as the 2002 Freestyle World Cup. St. Luke's Rehabilitation Institute added three physicians to the physiatry multidisciplinary team: Frank Jackson, D.O. ; and Jonathan Morrill, M.D., M.A. ; and Hongjie Yuan, M.D., caring for patients recovering from major trauma and disease. Dr. Frank Jackson graduated with a degree in biology from Pacific Lutheran University in Tacoma. Following that he worked for a number of years as a research cellular biologist in pharmaceutical biotechnology. He integrated his science education with his interest in spine and holistic medicine. Dr. Jackson completed his Physical Medicine and Rehabilitation (PM&R) residency at the University of Utah where he also served as chief resident. Dr. Jonathan Morrill most recently has served as the medical director for Providence St. Mary Inpatient Rehabilitation Center in Walla Walla. He earned his medical degree as well as a master's degree in medical sciences at Boston University School of Medicine, followed by residency in PM&R at the University of Washington. Dr. Morrill then completed a Neuromuscular Medicine Fellowship at the University of California, Los Angeles School of Medicine. He has co-authored a number of peer reviewed research publications. He will be providing electrodiagnostic (EMG and nerve conduction) services. Dr. Hongjie Yuan attended medical school at Jiangsu University Zhenjiang Medical College in China, and completed her master's degree in Rehabilitation Science at Nanjing Medical University. She then went to the Medical University of South Carolina to conduct clinical research projects and then completed her residency at the University of South Carolina-Greenville Memorial Hospital and Kingsbrook Jewish Medical Center programs. She is also interested in traditional Chinese medicine, completing a program for physicians in acupuncture at SUNY Downstate Medical Center, Brooklyn, NY. AIA Spokane, a Chapter of the American Institute of Architects recently elected is 2018 Board of Directors. The board also hired a new Executive Director, Stephanie Aden. Founded in 1955, AIA Spokane's mission is to increase and promote the value of Architects by advancing the standard of the profession and promoting professional development, outreach, fellowship and continues to play an active role in city and county development today. AIA Spokane has membership of almost 200 that includes architects and allied members. For more information, visit www.aiaspokane.org. 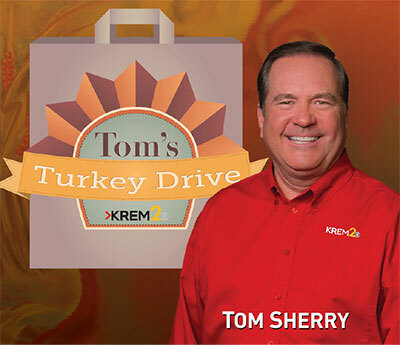 The 18th annual KREM 2 Tom's Turkey Drive wrapped up another successful campaign this year. The two-day event hosted by KREM 2's Tom Sherry at local Rosauers Supermarkets contributed 11,000 complete Thanksgiving meals to families across the Inland Northwest. In addition, area shoppers, donors, and local businesses raised significant funds for 2nd Harvest to help families with food assistance throughout the year. 2nd Harvest distributes food to over 250 neighborhood food banks and meal centers in 26 counties in Eastern Washington and Northern Idaho. Tom's Turkey Drive is a partnership between KREM 2, 2nd Harvest, Rosauers Supermarkets, Franz Bakery, Numerica Credit Union, Starbucks, Washington Dairy Farmers, Itron Inc., Darigold and thousands of local shoppers, donors, and volunteers to help make a difference to people throughout our community. The majority of the meals were distributed at the Spokane Veterans Memorial Arena on Tom's Turkey Tuesday, November 21. During Tom's Turkey Tuesday hundreds of volunteers helped to distribute thousands of meals. The West Plains Chamber of Commerce is in search for an Executive Director and will be accepting resumes through Friday, December 15. Cover letters and resumes can be sent directly to Chamber@WestPlainsChamber.org. More information can be found at: business.westplainschamber.org/jobs. Mac Daddy's Pub and Grill is now open in the Fairwood Shopping Center at 415 W. Hastings. They are known for delicious mac & cheese and menu items with mac & cheese like Buffalo Chicken Mac and Spicy Mac. They also serve burgers, sausages, and salads. For more information on Mac Daddy's Pub & Grill, find them on Facebook.